The article discusses immigration from the Caribbean to the U.S. primarily from the 1960's through 2014. Data and statistics from the U.S.Census Bureau American Community Survey is presented. 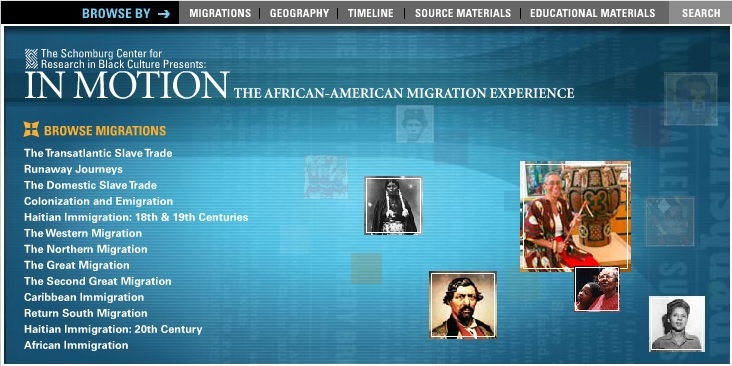 This website touches base on the experiences of the African diaspora through migration and slavery. It contains different geographical regions and their histories behind them. There are a variety of articles and texts on this website that deliver factual information- each are referenced and contain many sources. The website has many contributors, specifically from The New York Public Library. The staff and contributors are scholars from different universities around the country. The website is an interactive and diverse platform for many to enjoy learning about emigration history. 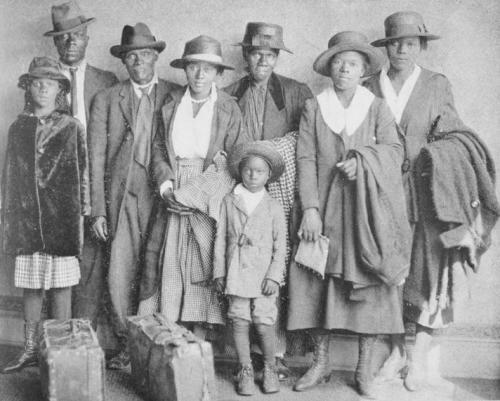 .....The first large movement of blacks occurred during World War I, when 454,000 black southerners moved north. In the 1920s, another 800,000 blacks left the south, followed by 398,000 blacks in the 1930s. Between 1940 and 1960 over 3,348,000 blacks left the south for northern and western cities. Learn about the history of the mass exodus of African-Americans who left the South to live and work in northern cities like Columbus, motivated by opportunities for economic and political advancement. Fresh Air's (National Public Radio)Terry Gross interviews Pulitzer Prize Winner Isabel Wilkerson, author of The Warmth of Other Suns, detailing the mass exodus of African-Americans from the South into Northern and Mid-Western cities.